There are so many great artists and designers that I admire. I thought I would take a blog post every so often to share their work with you. For many years I would follow their careers through the pages of magazines. Now with digital media it is so easy to check in on my favorites with just a few clicks and see their newest creations. So today I chose Linnea Design which embodies two creatives. Linnea Asplink Riley has been designing for over 23 years and shares her artistic genes with her daughter Johanna Riley who also creates for the company. Their work is infused with rich color, whimsy and sophistication. 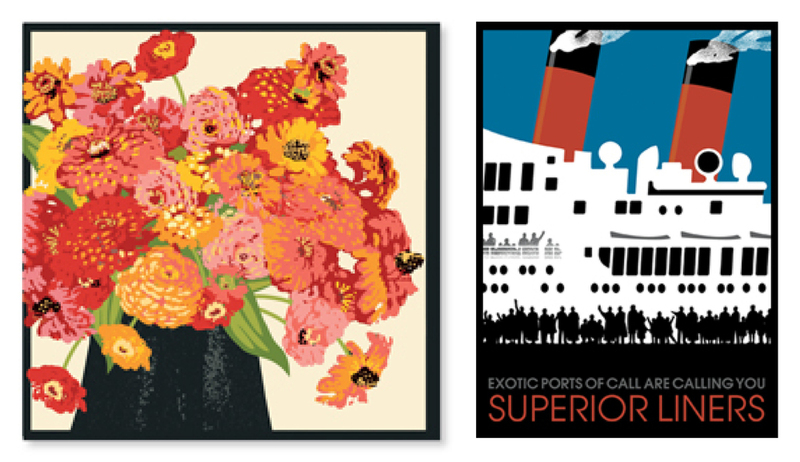 On the left is a beautiful floral design from Linnea and on the right is one of Johanna's trademark travel posters.